I'm new to the stimulator arena but know what appeals to me. Maybe one of you has a project you will not get to or are downsizing or just want to help a guy start a collection. 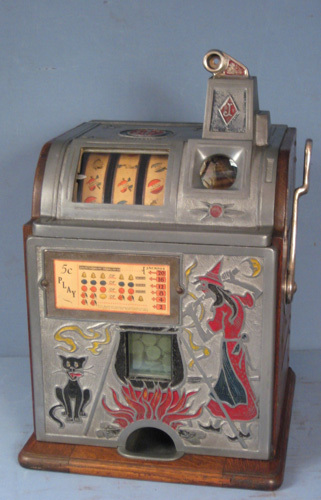 I like ornate castings of the 20's and 30's I want a gumball dispenser on it and IF POSSIBLE a jackpot or cash payout. The five reel Cardinal machine I hesitated on from flea bay looked reel cool, a Chicago Club tall machine looks cool. The rounded ones from the 40's and small best pocket or imps don't do anything for me. Anyone have something they can part with and sell to a new home? You can PM me or email me and I think my phone number is listed in my profile too. Thanks everyone and have a great holiday tomorrow! Richard13 wrote: I'm new to the stimulator arena but know what appeals to me. 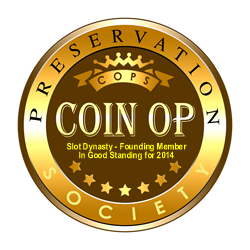 Maybe one of you has a project you will not get to or are downsizing or just want to help a guy start a collection. Well, I was unable to find your phone number in your profile, so decided to check your website, and nothing there either. Unless I might be interested in a Call Girl from Mumbai, which I am not, at this time. Maybe next time I travel there. How about if you send your phone contact to (slotdynasty@sbcglobal.net), and I'll push a few buttons to reach you? will show up as Private. Guess I'll have to remember to use *82. Lol I have not had any calls but would sure like one or two. To quote you" I am an old time collector, who has been thinning his collection. These are my last three trade stimulators (originally over 30) Bill knows me very well. but at 86 these are my last three, One is a restored Puritan Girl, one is a Whirlwind. original condition. with gumball vendor and jack pot. amd a rare Charles Fey MIDGET Roulette. original condition. If you are interested please send me your address ad I will forward photos. Hello Goodguy PM sent THANK YOU. Hello Goodguy, not sure if you have received my PM or not. Please call me when you can, morning is better. I have a surgical event planned for tomorrow afternoon if I do not answer please leave a message with call back number. the phone, I could tell he was heavily medicated, and this isn't the time to be selling him machines, if you know what I mean! As much as I like to chat with collectors, I sure as hell wouldn't be doing it until I came home.